Discover the first training machine of humanity, which is like a watch or a mobile phone anywhere with you. 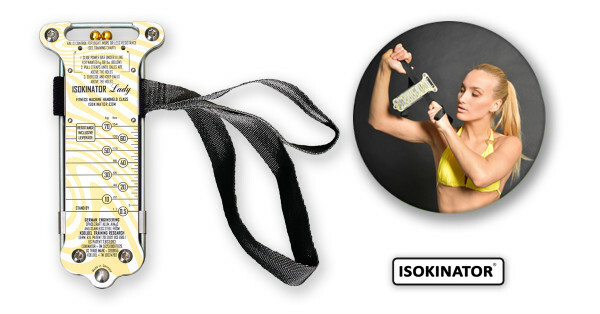 This ingenious invention is an "Isokinator Lady". A compact and portable device. Now designed specifically for the targeted formation of the female figure. At the same time for fitness and fat burning. For health and immune system. For joint flexibility and stress reduction. The machine is 8 x 18 cm tall only 12 mm thin. You can even fit in a handbag. Or in your pocket. And it replaces 7 large fitness machines. Features: A little bit weaker than the standard model. Incl. manual, diary and DVD. Related links to "Isokinator Lady"
Customer evaluation for "Isokinator Lady"